Middle aged Dad- teenagers. Fun to drive, AWD, hatch with ground clearance for snow and camping. Oldest is taking over my Rav4 soon, always liked it and the cargo space and ability handle most off-road needs. Want something more fun to drive (manual would be great) but need to still have the cargo space and AWD with some ground clearance. Reliability a must. 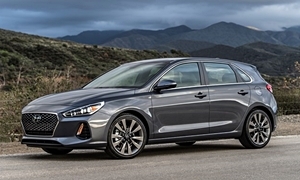 That is a tall order - a car with a manual, fun to drive, AWD, and ground clearance. The more ground clearance you have, the worse the handling - matter of physics. Stickshift is rapidly falling out of favor - Subaru it used to be a mainstay of the brand and now only the Crosstrek and WRX still has it. 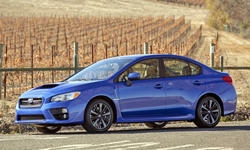 Worse, the WRX used to be a hatchback and now it is a sedan in the recent times. If you want a new car, then the Subaru Crosstrek ticks all of your boxes except for the powertrain performance and fun to drive. It is fine to drive but fun would not be the way to describe it. Subarus sometimes burn oil (about 10% or so) but if you watch the oil level they don't have any issues. I have a 2013 Legacy H6 engine that does just that, but I add oil and nothing else is an issue - now approaching 73,000. Another car that may fit the bill - the 2016 Ford Focus RS. It also has a six speed manual and AWD. It is not as reliable as the above mentioned Subaru, but it does not have the oil consumption issues and it is not a bad car as far as that goes. Here is one near me (a 2017) with less than 10,000 on the odometer and going for $34,000 (a new one is more than $40,000). Mini Cooper S Paceman All4 and VW Golf R 4Motion also fit your description but I would not recommend either as their reliablity is pretty bad. 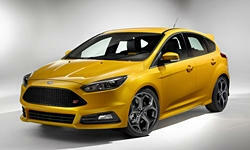 The WRX and the Ford Focus R (used ones for price and the hatch) are your best bet to get you what you want. The other two options I mentioned are also viable but be aware you wil most likely have more issues with them as they age. The Crosstrek you probably won't like as it does not meet your performance needs. Open to other thoughts on the board.... best of luck. 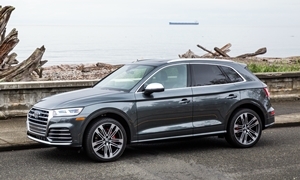 I have a 2015 Audi SQ5. While not a sports car, it is fun to drive, has good accelleration, and a used one should be available in your price range. AcuraT is correct. Sorry to say that it's about 10 years too late to get everything on your wish list. However, there are a fair number of cars out there that get about 80% of it. As AcuraT suggests a good, used WRX would work. The drawbacks are that it is sprung lower than most Subies (as can be seen in the pictures) and interior space may be cramped depending on the size of you and your teens. The car you REALLY want is the legendary Forester 2.5XT; 0-60 in 5.3 seconds! 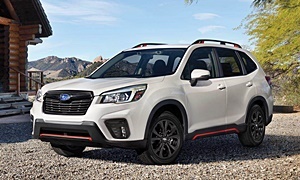 https://www.autotrader.com/car-news/original-subaru-forester-xt-was-stick-shift-rocket-265678 Well, then again, maybe you don't want this for your teen drivers. Alas they discontinue the manual after 2008. There are a few of these on the used market with relatively low miles but the manuals are highly desirable & quite rare. However those with the AT are no slouch. 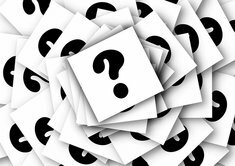 There are two newer options that meet most of your criteria worth a look and within your budget either as new or as CPO. The bonus is they have lots of bells & whistles including an excellent suite of safety features not available on pre 2015 models. Forester XT 2.0T This comes with a CVT albeit a very good one. A 2018, with all the Subie AWD goodness plus a number for modern safety nannies for your teens, is within your budget. 0-60 is a "leisurely" 6.8 seconds. It has lots of room & is relatively comfortable. As AcuraT mentioned, excess oil usage has been an issue in some pre 2015 models. Subaru claims to have resolve this but it remains to be seen if this has continues to be a problem in 2015 and new models. That said engine failure is rare as long as one checks the dipstick every 2,000 miles & tops off the oil IF necessary. Good training for teens who need to learn what the dipstick is an why and how to use one. Good training for teens! Happy hunting, would love to hear about your searh and what you get. I'd stay away from Subaru as they are best in 3rd world countries and the quality ranking shows. J.D. Power shows Subaru declining overall. 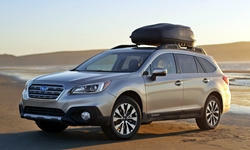 Outback had just under 20 repairs per 100 for the last couple of years, Forester is hovering around 25/100 repair rate. J.D. Power ranks the Forester with a 6 or last place. The VW Golftrak is top rated wagons tested by Consumer Reports but it place last against the OB and Regal TourX in a recent Motor Trend comparison. The Outback 3.6R is not very efficient on fuelly and only manage 2nd behind the Regal TourX by MT. Skip the Outback 2.5i as it is neither sport or fun to drive being so slow with loud engine drone from the CVT transmission. The Regal TourX or even Sportback are being discounted by about $8,000 on autotrader and both offer longer 4 years, 50,000 mile warranty. For the discounted price of AWD and 2.0T with 295 lb-ft of torque for $28-29K is well under your budget. On Fuelly.com they are averaging 23-26 mpg. 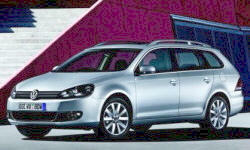 The VW Golf Alltrak is as little as $23K discounted. I would say just drive that Buick Regal and then the WRX - the Regal cannot compete. It is sporty, but nothing like the Subarus. I like GM but in this case it is not well suited to the request. Also, it does not come in a stick shift so that is probably a non-starter for Member2323. JD Power mixes up reliablity with usability. The two are combined in their ratings and it shows in the three year reliablity. For the controls on the Forrester stick shift, it does not score as well - 5 - or average. On actually reliablity, which Norm is not looking at (just the overall score) it scores a 8 (mechanical) or 7 (exterior and interior) on three year reliablity which is above average but not excellent. 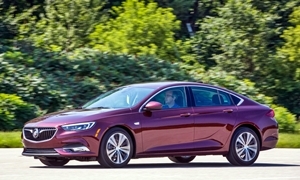 How does Buick do historically, since the Regal is a new model? Just one point better a 9 on Mechanical, and an 9 on exterior or interior reliablity (pulling from the Encore which has been out from years). The Enclave, the only other car with three years of history scores an 8 on mechanical, and an 8 on exterior and interor. So as you can see, this "margin" of better reliablity does not exist. Subaru and GM's Buick are basically the same according to even JD Power, not many times better as Norm is trying to claim. I have agreed with him in the past (GM's reliablity is far better than many give it credit for), but on this I cannot. In this case, it is only marginally better at best. In regards to the Forrester, danlisahall is correct - but I stayed away from SUVs for a reason - they don't handle as well no matter what the automakers do. But the Forrester did come with a stick and turbo until 2018 and is a good option if you are okay taking a hit in the handling. Test drive them both and see. Test drive a Regal TourX and you will see the difference (or Sportback) and you will have to get an Automatic. We all have our biases and preferences. Some of us try to be objective, but not all. Those of us who are regulars here expected NormT to chime in with his usual line. He is GM and Buick booster and has very little good to say about any other brands. He is constantly bashing Subaru. I'm a self confessed Subie fan based on my experience great experience and that of several other family members. Like every car, they are not perfect. But given the overall owner satisfaction as demonstrated by the fact that their sales numbers have been steadily rising, particularly since 2015, that over 80% are still on the road after 10 years, that owners on Consumer Reports (and other sites such as cars.com and Edmunds.com), consistently have a high levels of satisfaction, the company must be doing a lot of things right and making a pretty darn good car. Test drive em all and see what you prefer. Then take a look at the info on CR, True Delta and others sites and make an informed decision on what is best for you. Love to hear your feedback during the process and especially what you purchase. Danlisahall and I get along even if we don't see things exactly the same way, I can respect that. I usually get along with Norm as well because while he is biased he is not way off all the time and GM reliabity has improved drastically from the turn of the century to more recently. Lectrofuel is another regular on the board I respect. However I know when Subaru can be a good fit as well as when GM can be a good fit (many on the board love or hate each, I try to keep it as unbiased as I can). I own both so everyone is aware I do generally like both brands. They both with AWD can get up my mountain with up to 7 inches on the road (7 inches in the Subaru, 8 inches in the Buick). I can also take them both offroad with no problem when I take the kids camping every summer on dirt roads and modest climbs on the dirt roads. Best of luck in your investigations. I don't hate GM (I have suggested them before), but they are not always the answer like every other brand. I just don't like the robotic responses from the GM lover when this website is all about influencing a buyer's decision with an open mind with as little bias as possible. This is just another post from him suggesting a GM car that doesn't fit what the OP wants. I think the VW Alltrack would be the best choice. The only thing it doesn't have is the power that the OP wants. However, it is more fun to drive a slow car fast than a fast car slow. This also applies to Mazda with their CX-5. Both the Alltrack and CX-5 are engaging. You can't go wrong with either transmission in the Alltrack: a slick DCT or manual. The CX-5's transmissions are also good: a quick-shifting traditional auto or manual. The DCT in the VW will need some maintenance every 50k miles or so (danlisahall can fill you in on that with his Golf). Both have their strengths and weaknesses. The Mazda doesn't have CarPlay until next year (but you can retrofit it soon supposedly). The VW is not as reliable as the Mazda and it is more expensive to replace things. I would test drive both, but I'd probably go with the Mazda for the reliability and styling. If you really need power, the WRX would probably be the best. The Regal GS Norm suggested is 3,800 lbs, probably too heavy to have much fun. Taking it off road is like taking my Prius off road. It would probably bottom out on the smallest of rocks. I think the Outback would be too soft for what the OP wants. It does most other things very well. Good luck and please tell us what you decide on! 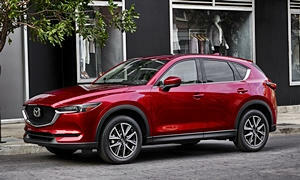 Edmund's criticizes their longterm CX-5 for the lack of athleticism and fuel economy. They have made it quieter with the added weight of sound deadening and acoustic glass have dulled its reflexes.
" But I have a theory that since several of us are already disappointed in the CX-5's somewhat toothless acceleration and general non-zoominess, we're all furiously plastering the accelerator to the floor in an attempt to coerce any life out of this powertrain. That's not going to help our fuel economy... Average lifetime mpg: 22"
Car and Driver's title of their in-depth review for the 2018 CX-5 is "The best-looking and best-driving compact crossover." The parts about the car they liked were:Feels more expensive than it is, gorgeous styling inside and out, and captivating ride and handling. In fact, they rated it 5 stars like they did with the CX-9. Both the CX-5 and CX-9 are on their "10 best list." They do say it could use more power and interior space is lacking, like most Mazdas. Power is not always the answer. Some of the most fun to drive cars are slow. Also, the Equinox 1.5t was a full second slower than the CX-5's 0-60 time. You have never said anything good about a Japanese car and have never suggested something that wasn't from GM in your 600 responses, so why should we listen to you? Notice when I quote auto reviewing magazines/internet sites I use their test data and relay that here. Each has a unique optioned vehicle and usually have a stand out test like C&D 75 mph fuel economy test for 200 miles, MT has a $150,000 fuel consumption machine for their real mpg, CR has emergncy lane change test, MT has a figure eight test around two 200-foot circles... Is one test perfect, no. They each have their own merit highlighting a strength or a down fall. That's why I will quote them all. All of this testing is not done for free and revenue stream in from sponsors or advertising. If there is no formula for their rating system like C&D uses it is pure advertising generated. It has been discussed before in their comment section how off their 5-star rating system is. The bigger question, like AcuraT mentions, how they get their data and present it. Most of the time there is a twist like KBB's lowest deprecation quoting residual values based on MSRP which hopefully no one pays today. When a vehicle is discounted to 20-30% off MSRP those residual values only represent half the story as they are half off the true cost to own. I quoted Edmuds as they test over 300 vehicles annually. They also have over 20 cars in their longterm fleet unlike the 4-6 in C&D a d MT test fleets. Though 1/4 of Edmund's cars are Honda's, MT is ending longterm on a CR-V 1.5t and before it ends theystarted another CR-V 2.4l...think Honda is forcing cars on them? Sure they are and it is easy to see as there is no Acura's being tested. Equinox 1.5t AWD is a $20,000 with the discounting. As Michael mentioned based on his data it has had one of the best new initial launches one could have match the oldee, current RAV4 in repairs per 100. Too slow you say? Look at a Equinox 2.0T with 252 horsepower for $24K or about the same as CX-5. MT has the Equinox 2.0T at 1.4s faster than a CX-5, faster figure eight time, and 9-feet shorter braking from 60 mph. Why even consider an out of date Japanese vehicle? But it isn't always about the numbers. Driving feel is different from the g's and speed around a figure eight course. Many of us would prefer better driving feel over better track numbers because sometimes track numbers and driving feel don't correlate. Look at the Miata's "average" numbers and then look at the commentary from every person that's ever driven one. It drives great even though the numbers aren't supercar-quality. I don't doubt the Equinox is a good compact SUV, probably in the top five compact economy SUVs right now. The CX-5 is less practical, but more fun. That appeals to many people. I compared the 1.5t to the CX-5's 2.5 because those are the volume selling engines. "Sure they are and it is easy to see as there is no Acura's being tested." I would think that if Honda was pushing cars on them, Honda would push Acuras (RDX) on them, too. Just because they test a lot of Hondas does not mean Honda is forcing them to rave about their cars. The CR-V is MT's SUV of the year so they are testing both engines. In the last year, Honda has redesigned, refreshed, or debuted all 18 (counting variations of the Civic and Clarity) of their cars except the Civic Sedan and Ridgeline, so that is probably why they test so many Hondas. Not all Japanese cars are out of date because Honda has updated 16 of their cars since 2017. Possibly the reason why Edmunds has so many Hondas is that they are based in SoCal where Toyotas and Hondas are by far the best selling brands (many liberals). Honestly, GM doesn't have many dealers around here and they don't have the best reputation. MT admitted they have a "Honda contact" and also use the Honda proving grounds to do their testing. A CR-V 1.5T AWD is $7,000 more than a Equinox 1.5t AWD. The CX-5 is not much closer in price. But a Equinox 2.0T is more closely aligned pricewise and a better performer. It's not about numbers and you quote 0-60 mph times?